A few quick words: I am not a doctor. These natural energy boosters are not meant to take the place of your physician’s recommendations. You’ve most likely been there. It’s the middle of the day and you’re exhausted. You went to sleep at a decent hour, slept relatively well and ate breakfast when you woke up. What can you possibly do to create more energy? 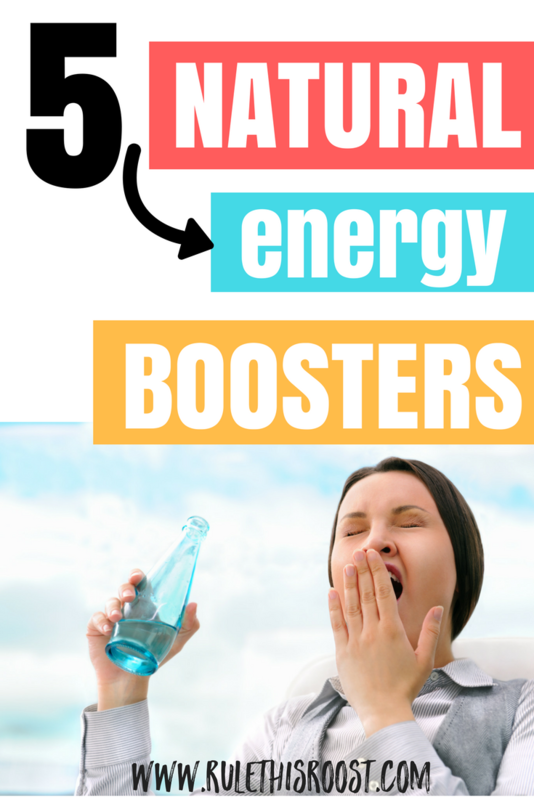 Drinking coffee and energy drinks won’t help you in the long-run, so what are some natural energy boosters? What natural energy supplements will help you? I have been on a serious quest to rejuvenate my energy levels lately. It hasn’t been easy, but it has been worth it. I have found that there are some awesome natural energy supplements that I can take on a daily basis to boost my energy naturally. Some of my previous, natural supplements. combined with some new ones have made a profound difference in my energy levels. | 1 | Drinking lemon water before ingesting anything else. 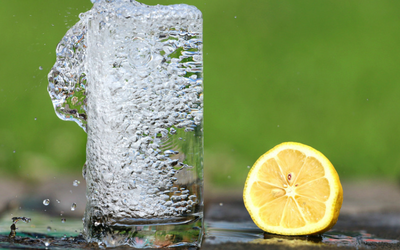 It’s always best to use fresh squeezed lemon juice. However, Santa Cruz Juice is an organic alternative that is pure lemon juice. | 2 | Next up…Drinking Apple Cider Vinegar. Apple cider vinegar… make sure it is “with the mother” (the super important, beneficial bacteria that you have to shake to mix) . This tangy tasting liquid is a tough one to take, but it is definitely worth the minute of nastiness on your palate. Apple cider vinegar is a quick and natural energy booster. I prefer Bragg Organic Raw Apple Cider Vinegar with the Mother. This superfood can be put in almost anything. I have started out with 1 teaspoon of Maca Root Powder in my omelette each morning. I can’t even taste it, but I noticed more energy the first day I tried it. I’ve also heard of people putting Maca Root Powder in their smoothies, but have not tried it yet. I use Health Works Organic Maca Powder. Bentonite clay has long been used for detoxing. It has been a natural energy booster for years. It can be used internally and externally and has a myriad of benefits. I drink 1 tsp of Bentonite Clay mixed with water, about an hour before I take my nightly supplements. Bentonite Clay pulls the toxins from the body and leaves you feeling energized the next day. A word of advice… since Bentonite Clay attracts metals, do not use a metal spoon or container when mixing it. You don’t want the metal going into your body for further pollution. I use Redmond Bentonite Clay. Pau D’Arco is a light and refreshing tea from South America. It can be taken in capsule form, but is more effective when taken in tea form. This is one of my favorite natural energy boosters because it tastes good and will give you energy quickly. Pau D’Arco has been known to heal cancer, candida and inflammation. I use the Buddha Teas Pau D’arco Tea and have been extremely satisfied with its taste and benefits. Being exhausted can rob you of so many things. These five natural supplements and energy boosters have done wonders for me. Of course, it’s always wise to improve diet and physical activity in order to fight fatigue, but these will give you an extra and natural energy boost. Have you tried any of these? Have you felt a difference in your energy? Comment below!